The Mountaineers were just 8-9 entering this contest, but pulled off the home win against the Jayhawks. The NCAA men’s basketball upsets are continuing. After the No. 2 Michigan Wolverines lost to the unranked Wisconsin Badgers on the road earlier Saturday, the No. 7 Kansas Jayhawks (15-2 heading into the day) fell 65-64 on the road to the unranked West Virginia Mountaineers (8-9 entering the day) Saturday afternoon. Kansas led 64-58 with 2:37 to play, but Wesley Harris responded with a three-pointer and Derek Culver hit a layup to cut the lead to one. After that, the Jayhawks missed two further shots, and when a Kansas player tried to save the rebound, he threw it right to West Virginia’s Jermaine Haley. Haley then led the Mountaineers down the court, and he drove the lane and scored what would prove to be the game-winning layup with 8.5 seconds left. 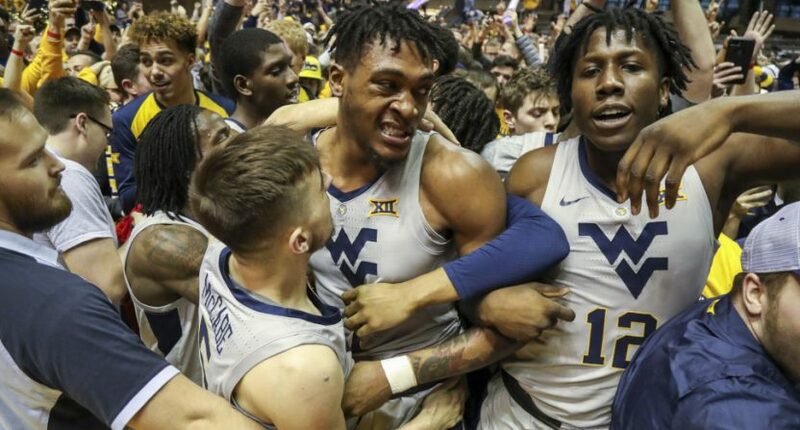 West Virginia next hosts Baylor Monday, while Kansas hosts Iowa State that day.